Bride or die that's the way it's gonna be. 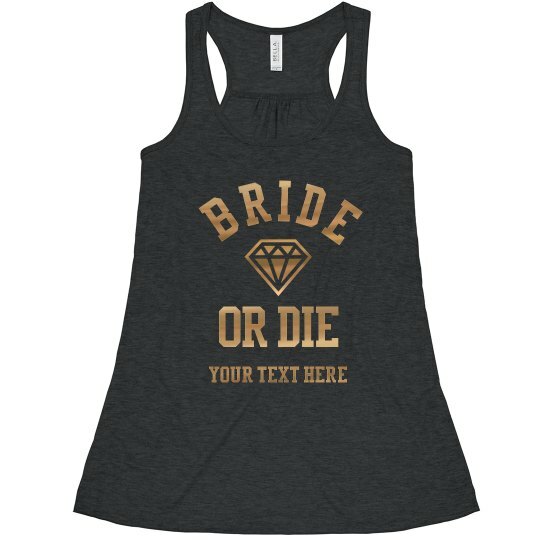 Funny custom tank tops for the bridal party to wear while they celebrate the bride to be! 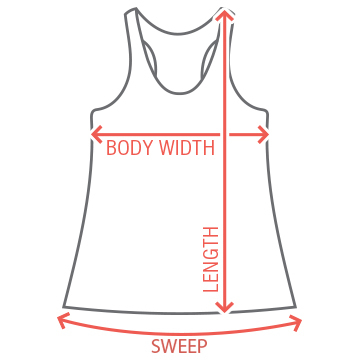 This cute flowy tank has gold metallic text on it. 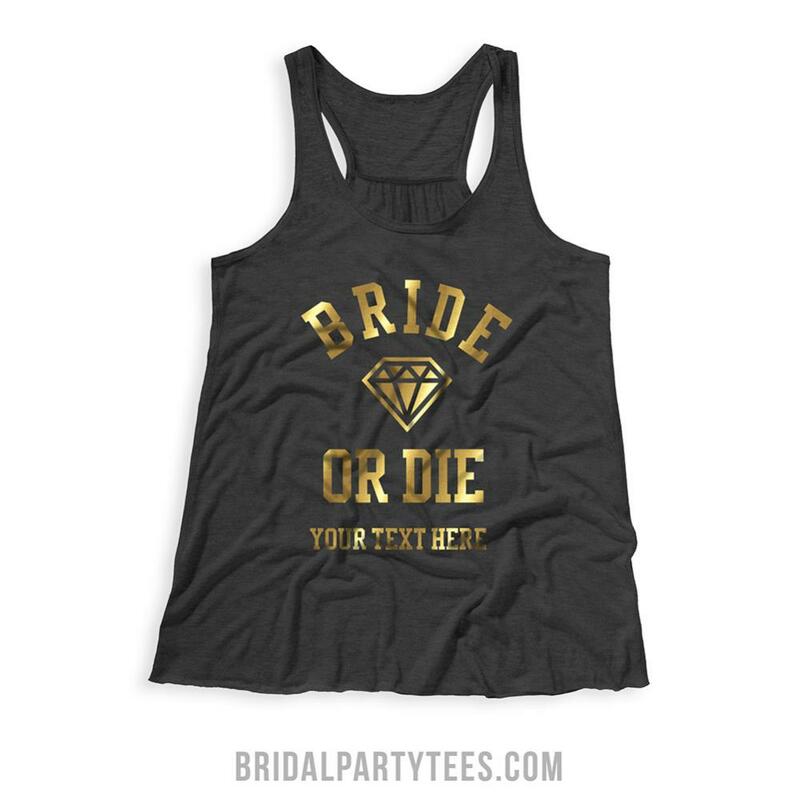 Put your own text on this tank and get ready to party for the bride!